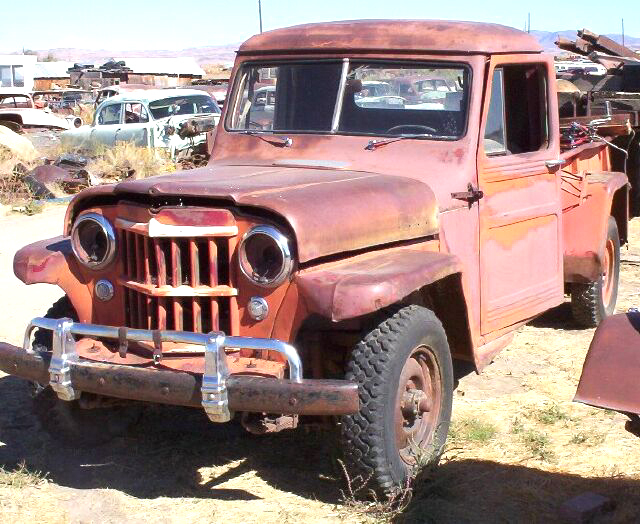 This red 1954 Willys Jeep 4X4 Model 454-EC2 one ton pickup is a nice, solid pickup ready to be restored. There are some repairable dents in the body. The hood badges are gone. There is a tear in the right rear fender at the top front. The left rear fender has a tear and rust in the back bottom. 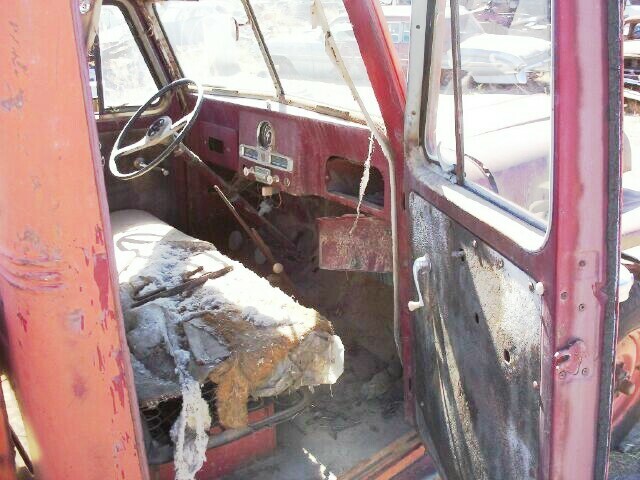 There is some rust in the lower rear corners of the cab. The rear bumper is missing. It has a non-stock front bumper guard. The interior is all there. The seat is not original. The motor and drive train are complete. 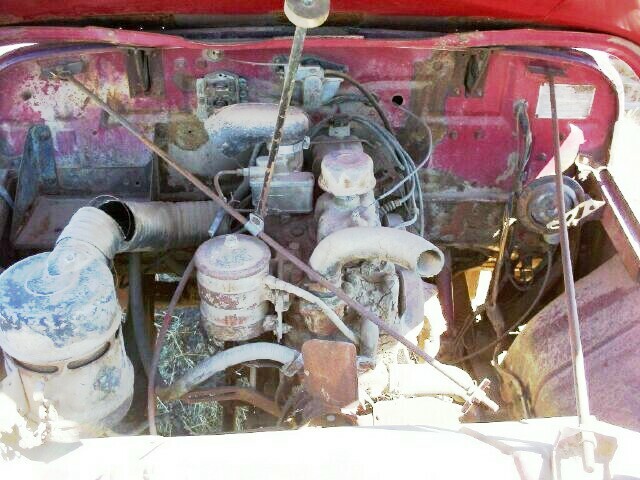 The radiator is missing. This is a nice dry Jeep pickup so you will have good sheet metal to work with during restoration. 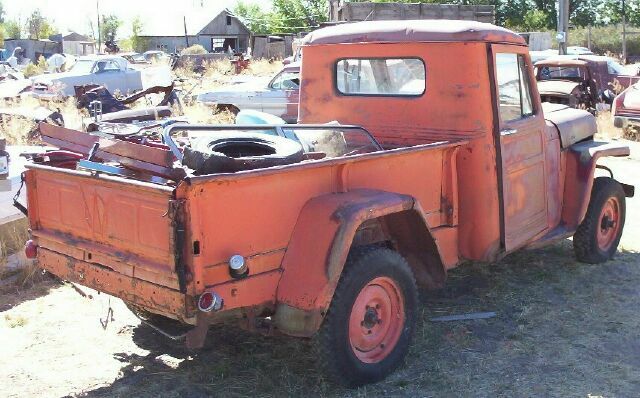 Please call (406) 318-0270 for details about this restorable classic project truck. For sale $1,900.